Amidst the chaos of the Detroit Rebellion in the summer of 1967, gunshots are heard from the direction of the Algiers Motel. When the police and the National Guard arrive, tensions rise and three young African American men are murdered. 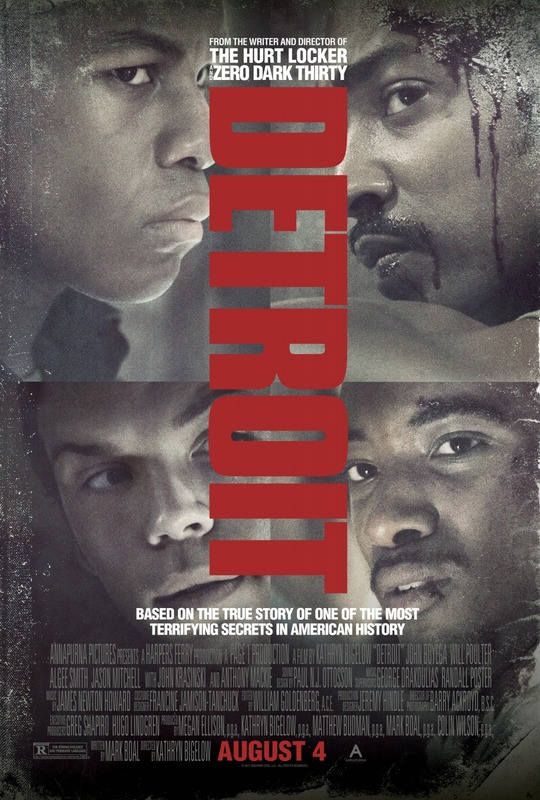 Detroit is based on true events and, as the film states at the end, has been put together from first-hand accounts and what limited official documents there are from the time meaning that some of the events depicted are dramatized. Detroit uses archive news footage and photos to help show what the violence and chaos on the city streets was really like and makes it all feel more real. The whole cast gives phenomenal performances. Will Poulter as racist police officer Krauss is equal parts terrifying and mesmerising. You end up feeling you can’t take your eyes off him for a second as you don’t know what he’ll do next. John Boyega as security guard Dismukes feels underused at times but that’s mainly because he’s almost like a spectator to these events. That being said, when there’s moments for him to show more than restrained horror and the fear begins to register, Boyega nails it. The violence the police officers inflict on this group of young people is tough to watch. 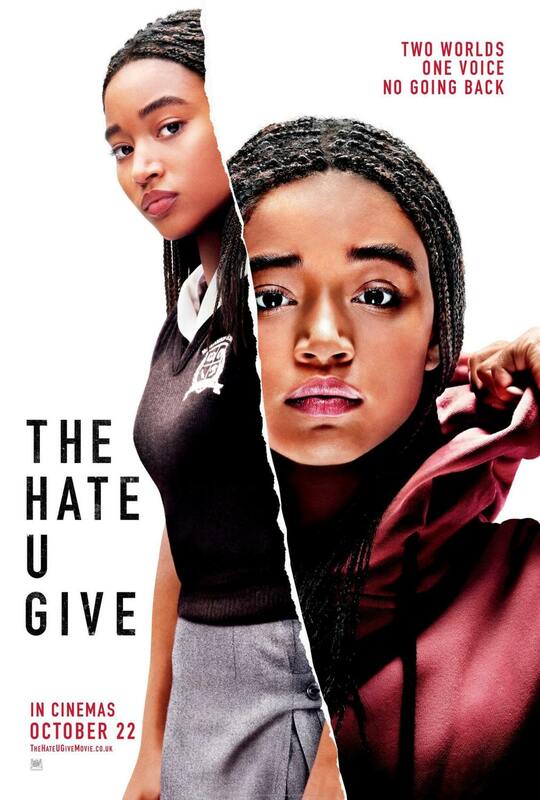 The psychological torture tactics they use is sickening and the camera never really wavers from it either so you as the viewer, like men like Larry (Algee Smith) and Fred (Jacob Latimore) are forced to watch what others are going through. At almost two and half hours Detroit is a long film and you can start to feel that towards the end of it. the last third is really quite drawn out as you don’t just get the usually text on screen, telling you what happened to these people next, instead you get to see it. This makes their grief and anger hard to take but in a way, it makes it feel like the film is prolonging the people’s pain and the viewers. Detroit is a tense and powerful film that often makes for uncomfortable viewing. It’s shocking that not only did these events take place 50 years ago, but that no one with any real power to change things has learnt from them as events of police brutality is still prevalent today. 4/5.